Since 1960, Chapel Hill Pediatrics and Adolescents has delivered premier health care to infants, children, and adolescents across the Triangle area. The mission of Chapel Hill Pediatrics and Adolescents is to provide high quality medical care to sick and well infants, children, and adolescents in a supportive, caring, and respectful environment. This two-site pediatric clinic (locations in Durham and Chapel Hill, NC) has always cared for children with a variety of health conditions. Chapel Hill Pediatrics and Adolescents’ pediatricians and staff have spent the past eight years transforming our pediatric center into a true Medical Home. Children with special health needs do best with comprehensive and collaborative health care. Chapel Hill Pediatrics and Adolescents uses their Electronic Medical Record system to communicate with pediatric specialists, track referrals, and electronically prescribe medications for their clients. Our Durham and Chapel Hill pediatricians, care coordinators, and staff work with the family as a team to share information and arrange specialized services as needed. Pre-visit phone calls to the family help the Chapel Hill Pediatrics and Adolescents pediatricians and parents organize the child’s care in advance, improving the efficiency of their doctor’s visit. Our Chapel Hill and Durham, NC pediatric centers are able to provide award-winning medical care thanks to our first-class pediatricians. 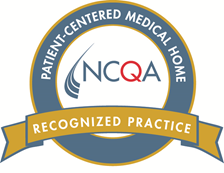 Chapel Hill Pediatrics and Adolescents has been certified as a Patient-Centered Medical Home, with the highest level of certifications from both the National Committee on Quality Assurance and the Blue Cross Blue Shield Bridges to Excellence programs. Received 2007 McIver Award for excellence in caring for people with developmental disabilities. 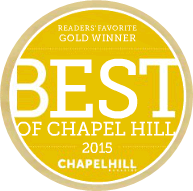 Voted as Best Medical Practice by the Chapel Hill community with the Rose Award in 2008. 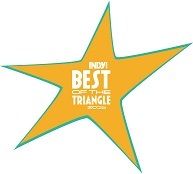 Featured in Chapel Hill Magazine’s July 2011 issue as best in Pediatrics/Family Medicine. The compassionate, family-centered, and coordinated care given by the staff and pediatricians at Chapel Hill Pediatrics and Adolescents provides an ideal Medical Home. Our website includes information about community resources to assist patients in obtaining and paying for their child’s pediatric care. Feel free to contact our office if you have questions or would like to request more information about Chapel Hill Pediatrics and Adolescents. We look forward to meeting with you soon! The Chapel Hill and Durham pediatricians, nurses and staff at Chapel Hill Pediatrics and Adolescents are competent and experienced. Our team is continually learning and staying up-to-date on the latest technology and information in the field of pediatric medicine. It’s all so we can provide what our patients deserve: the best pediatric care in North Carolina. If you are new to Chapel Hill Pediatrics or are considering making a switch in pediatric providers, take a look over our new patient information. Current and new patients alike can contact Chapel Hill Pediatrics today to set up an appointment. 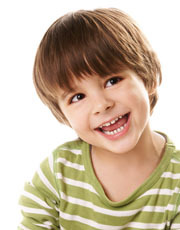 We have two pediatric center locations in Durham, NC, and Chapel Hill, NC.